This article and radio report by Bruce Wallace  for The World  originally appeared on PRI.org  on September 16, 2015, and is republished here as part of a content-sharing agreement. Only 15 people can fit into the small room on the third floor of a brick-and-corrugated-tin building in Bangladesh’s capital, Dhaka. More people listen from a hallway just outside the room. They all work at Dacca Dyeing, a garment factory that makes clothes for Gap and Target, among other companies. They want to start a union. Bangladesh’s garment industry saw two disasters in recent years: the Tazreen fire in November 2012  and the Rana Plaza factory collapse in April of 2013 . International action to reform the industry followed, but so did labor organizing. Groups of workers, most of them women, huddled in rooms like this one to talk about taking a public and potentially dangerous step: Telling the people who run their factories — almost all of them men — that they intend to unionize. As the evening call to prayer finishes outside, Sritee Akter starts her pitch to this group. She’s the general secretary of the Garment Workers Solidarity Federation. Before that, she was a garment worker herself. In 1994 her salary was 250 taka — about $3 — a month, she tells them. She’s been fighting for workers rights since then, she says, and has been to jail twice. Organizing a union is not illegal in Bangladesh, but the workers still try to meet in secret. They moved their meetings here recently because a neighbor at their old spot started asking questions. Akter warns the workers that if the bosses find out, they’ll try to pit workers against each other, have them sign things that can then be used against them, and search for reasons to fire them. They may get violent, too. Two years ago, garment workers won  a hard-fought wage increase — more than doubling the minimum wage — to the equivalent of $68 a month. Akter says unions will fight to double that again in the next five years. A new labor law  also guarantees longer maternity leaves and profit sharing for workers. But Akter says only unions can make these promises a reality. After about half an hour, workers start lining up to fill out forms saying they want a union. Akter keeps talking. A few days later, my interpreter and I run into Akter on our way out of the offices of the Bangladesh Garment Manufacturers and Exporters Association, or BGMEA  — the garment factory owners’ industry group. Garment exports accounted for $24 billion last year, 80 percent of Bangladesh’s total exports. And many of the country’s elected officials have a stake in those exports. That’s what Akter’s up against. Unions were outlawed in Bangladesh in 2007 as part of a military-backed emergency law meant to settle political upheaval. But there’s been a been a burst of labor organizing since the new labor law passed in 2013. 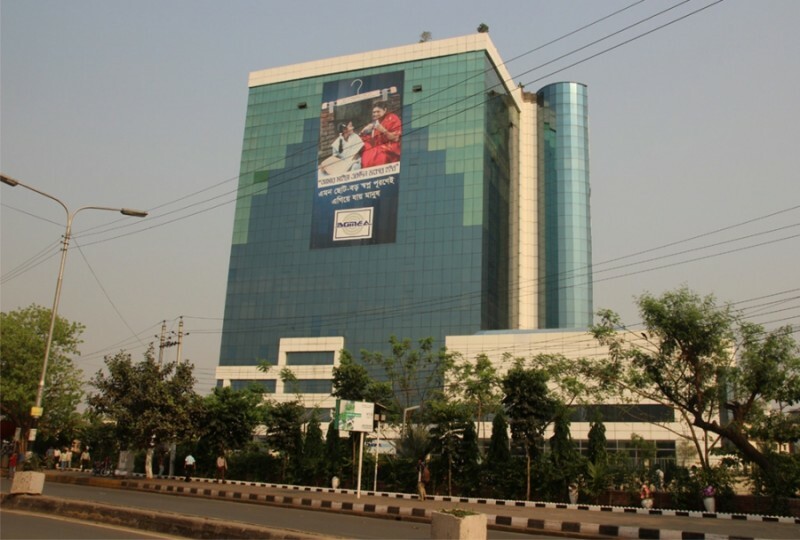 About 400 unions have been approved since then, according to the AFL-CIO’s Solidarity Center in Dhaka. Now unions cover some 150,000 garment workers, still a tiny fraction of the four million total. 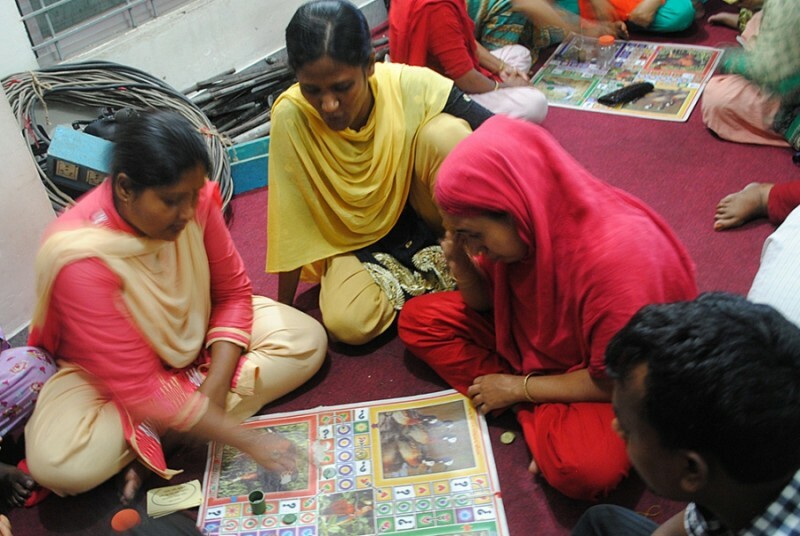 Historically, women, who make up 80 percent of garment workers, have been underrepresented in leadership. Female leadership in unions is increasing, though. The two most visible garment worker leaders in the country are women (Nazma and Kalpona Akter — no relation to each other or to Sritee Akter). The AFL-CIO reports that two-thirds of factory-level leaders are now women. And that could be good news for unions as they try to persuade garment workers to take the risk of signing up. Organizer Sritee Akter knows how to talk to the workers on their level. For instance, she uses a metaphor that only rural Bengalis might understand about holding on to a particularly slippery species of fish. “Owners are slick like a slippery fish, and do you know what we need to grab slippery fish?” she asks. I check in a few months after Akter’s meeting with the Dacca Dyeing company employees. She says the government has turned down their union application twice, both times claiming they didn’t have signatures from the required 30 percent of workers.